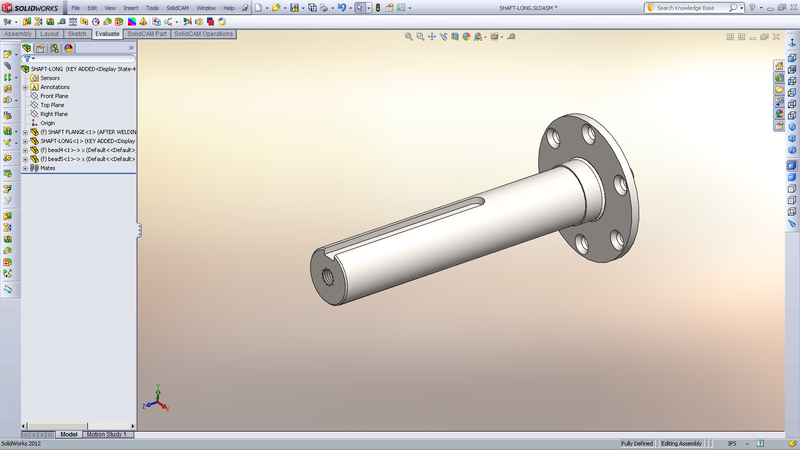 Screen shot of shaft modeled in SolidWorks 3D cad software. Full modeling capabilities of parts and assemblies. Great tool for design of complete machine assemblies.